Facebook on Tuesday raised the ante for messaging apps photo quality with the announcement of 4K support for Messenger. Although the need for speed in a messaging app and the size of 4K photo files would seem to work at odds with each other, that apparently is not the case with the Messenger upgrade. “Your photos will also be sent just as quickly as before, even at this new, higher resolution,” Kelly and Green maintained. Click on image to zoom in on difference in resolution. Speed is important. Viewers will start to abandon content if it takes more than two seconds to start up, research from Akamai suggests. What’s more, with each incremental second of delay, the abandonment rate increases 5.8 percent. The new 4K support will be transparent to users. After upgrading to the new version of Messenger, a user can open a conversation, tap the camera roll icon, select a photo and hit send. The recipient then will receive the high resolution photo. The 4K resolution support will be available immediately for both iPhone and Android phones in the United States, Canada, France, Australia, the United Kingdom, Singapore, Hong Kong, Japan and South Korea, according to Kelly and Green. The feature will be introduced in other countries in the coming weeks. “Facebook’s announcement to support 4K is actually just about catching up with the market,” said Andreas Scherer, managing partner at Salto Partners. “Smartphones from Apple, Samsung and Google are already supporting the 4K format,” he told TechNewsWorld. With 4K support in Messenger, Facebook is taking advantage of the higher-resolution screens in the latest smartphones, noted Ross Rubin, principal analyst at Reticle Research. “This is an opportunity for Messenger users to enjoy a richer photo experience,” he told TechNewsWorld. 4K is becoming table stakes for high- and mid-tier smartphones, said Charles King, principal analyst at Pund-IT. “It’s what people are coming to expect when they plunk down nearly (US)$1,000 for a phone, so handsets that don’t support 4K will increasingly stand out as second rate,” he told TechNewsWorld. 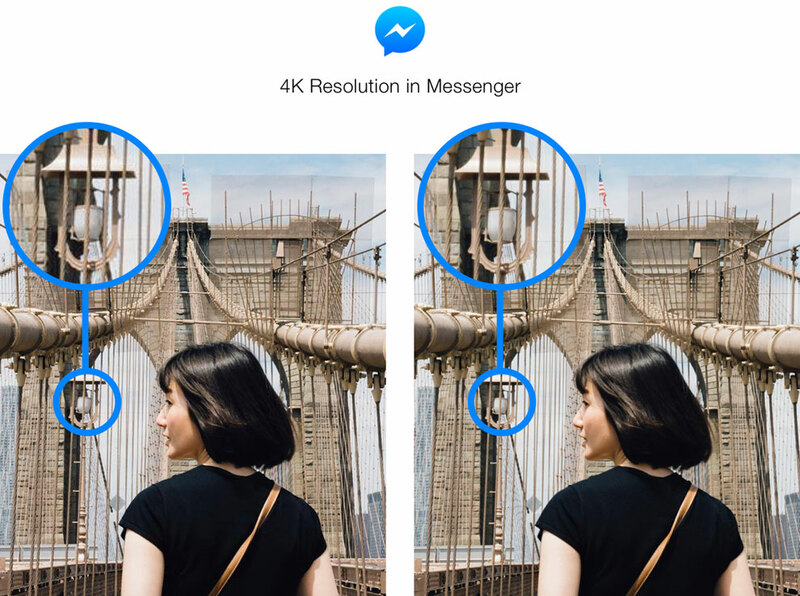 Although Facebook promised that transmitting 4K photos won’t hurt Messenger’s performance, questions remain about potential negative consequences. “It could kill your data plan,” said Rob Enderle, principal analyst at the Enderle Group. “4K photos are very big files. You do 30 or 40 of those, and you’re going to blow out your data plan,” he told TechNewsWorld. “That’s why you should be sure your phone is connected to WiFi if you’re going to transfer 4K pictures,” Enderle advised. 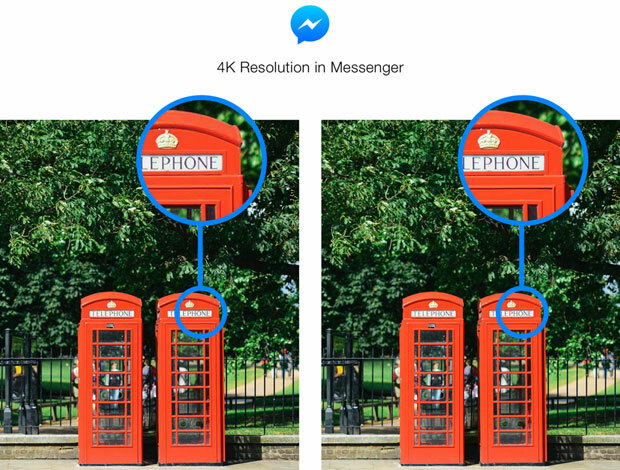 The move to enhance Messenger’s 4K support is a sign that Facebook wants to keep the app ahead of a technology wave to come. “4K isn’t just a marketing play to sell more displays, like 3D was. This next-generation format delivers higher resolution and crisper images, and it will eventually become the standard for all video,” Forrester analyst Nick Barber wrote in a report released last year.